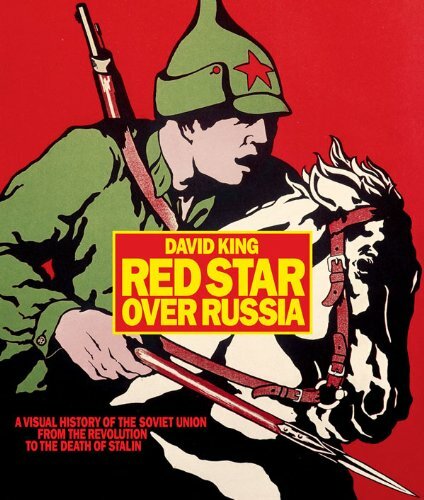 Red Star Over Russia is a breathtaking visual history of the Soviet Union from 1917 to the death of Stalin, using a vast array of material including posters, photographs, paintings, magazine covers, advertisements, and ephemera to illustrate the dramatic birth and eventual decline of the Soviet Union. The book's urgent, cinema verite style plunges the reader into the shattering events that brought hope, chaos, heroism, and horror to the citizens of the world's first workers' state. The Russian Revolution produced some of the most important advances in the fields of art, photography, and graphic design in the 20th century. More than 550 of these widely influential materials are reproduced here to the highest quality, accompanied by author David King's accessible text. Zooming in from the epic to the particular, King rescues from obscurity many lost heroes and villains through the work of the most brilliant Soviet artists, many of them anonymous or long forgotten.